Managing IT projects to come in on-time and on-budget is a challenging prospect. Project.net provides powerful yet easy-to-use tools that will sway the odds decidedly in your favor. Are team members completing work at the projected pace? Do we need additional help in any areas? Are the features being implemented as originally discussed? Are team members having to work more hours than planned to stay on schedule? Project.net's tools appeal to IT teams because they are familiar — which developer hasn’t seen blogs and wikis? There is virtually no learning curve. All of the tools are easily accessed from the personal dashboard. Our tools deliver value right away, and become more reliable and accurate as team members come to rely on the productivity and collaboration tools offered by Project.net. Create a project workplan that captures tasks, sets a schedule, and ties resources to each task. Our Project Workplan module is flexible, so that you can describe tasks in the amount of detail that works for you and your team. As your project progresses, you can update your plan and flesh out details. Introduce your team members to their personal dashboard, which provides easy access to their assigned tasks and progress as well as the project dashboard. Team members track progress not just with time logs, but through submitted work supplemented with associated blog and wiki entries that team members provide as background information about what they've completed. Enjoy the unparalleled visibility offered by Project.net. You can drill down with the finest levels of granularity into the current state of the project and understand how it got there. 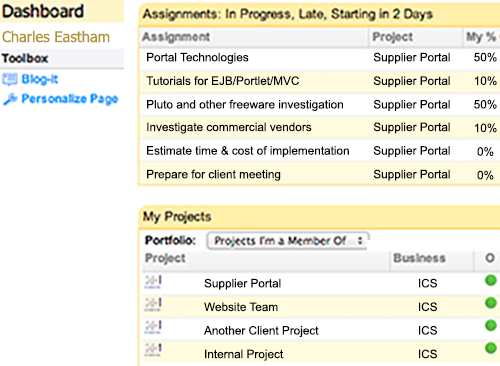 You can generate reports for yourself and your management to guide the project to successful completion. Project.net's a full Project Portfolio Management solution, so it excels in situations where there are mutually dependent factors at play (such as shared resources or team members that have responsibilities across multiple ongoing projects). 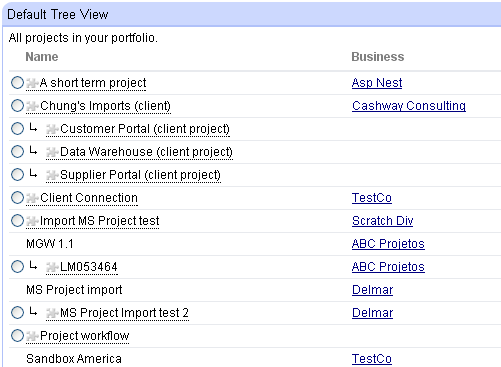 And it's the only open source Project Portfolio Management solution, so there's a whole user community supporting you.